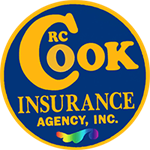 Get your free mobile home insurance quote from RC Cook Insurance. Call 330-296-3628 for more information. We're located in Ravenna, OH. Do You Need Mobile Home Insurance in Ohio? There are many good things to say about manufactured homes in Northeastern Ohio. Some of these properties have many features of a foundation built home and you can buy a new house for much less than the price of building one on site. However, not all insurance companies offer mobile home insurance and it is important to choose an agent who can help you find the right coverage and be there when you need assistance. If not, you might experience problems like Vivian and Ivan R, in our example story. Ivan and Vivian were looking for a new home and they wanted 4 bedrooms and 2 baths to accommodate their growing family. They found a few older homes in nice neighborhoods but the prices were beyond their household budget. After searching, the couple came across a brand new manufactured home with everything they needed. Plus, the monthly mortgage payment fit well into their finances. They needed to find a homeowners policy and settled on the first company that offered the coverage. After all, most manufactured home insurance policies are pretty much the same (or so they thought). The premiums were affordable and satisfied the requirements of the mortgage company so that was all that mattered at the time. The couple and their kids moved into their spacious new home and everything was fine for almost three years. However, one warm spring day, a line of strong thunderstorms swept across the Midwest and spawned several tornadoes. A fairly large tornado dropped down out of the clouds a mile from their home and cut a large swath, taking out many houses in the mobile home park, including the lovely home owned by Vivian and Ivan. Fortunately no one was home, but the place was a total loss. Then to add insult to injury, they learned their homeowner policy only provided fair market value coverage on the property. Had they taken out replacement cost coverage they would have received a new home. Instead, the insurance payoff was not enough to cover the mortgage balance. This made it very difficult to find another home and they had to settle for something less than they really wanted. Insuring a manufactured or mobile home is similar to standard homeowners insurance. However, most of these homes are not on foundations and the construction is not the same. This is why one should choose an agent with a great deal of knowledge on these properties. Manufactured homes - a manufactured home has construction similar to a standard house with shingled roofing and standard siding, but no concrete foundation. Mobile homes may have metal roofs and siding and are not as sturdy, usually. However, manufactured homes are often referred to as "mobile homes". Mobile home rentals (when not for monetary purposes). For example, you may let a friend occupy a mobile home you own for a specified amount of time. What Basic Manufactured Home Insurance Will I Need? Wind damage - very important for mobile homes and may not be included in standard hazard insurance. Replacement cost insurance - pays to replace your unit with a new one (if it is 10 years old or less). This is critical because most manufactured and mobile homes depreciate in value over the years and fair market coverage will be less, as the years go by. Dog bites - if you own a dog you should consider this liability insurance.